Vote for Shadow!. . Wallpaper and background images in the shadow el erizo club tagged: shadow the hedgehog shadow the hedgehog drawing picture sonic. me:ur bad shadow!how could u make this wrould a better place!? I'll Vote For SHADOW!!!! !A HAIL SHADOW!!!! shadow, me and my friends will vote for you. 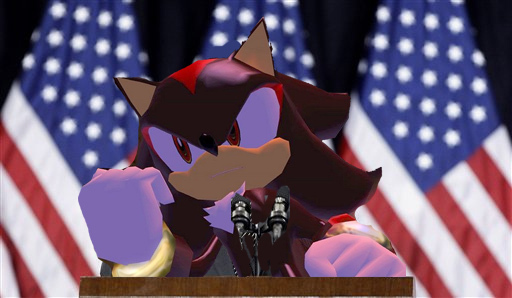 shadow:vote for me and see a brighter future!!! shadow:just ask my wife girly ga ga or my aunt rouge!!! Me:I vote of Shadow anyday! we shouldnt have to do anything like that!! And if not that then...SOMETHING ELSE...! Shadow:because I'm gona make a world just for me &u. Shadow: Ya whats wrong Haze? Shadow: I know ur gonna vote for me. Shadow:No no don't cry (starts to blush now) I love you to. every body in the crowed: AWWWWWWWWWWWWWWW! Shadow:Shut up this is a very cute moment!